...Zoeller Pumps & Agriculture Solar Powered Water Pump Power Increases Efficiency, Lowers Costs and Maintenance. We offer tailor-made solutions that work with you to create energy cost savings. Zoeller Pumps and Agriculture Solar have quality products and will deliver them in a timely manner no matter where you may be. We have innovative technology and procedures that are allowing us to meet your needs in a specific and helpful way. We are always looking to build relationships with people who show integrity in all they do. Service is where we want to make the biggest difference to you, our customers. We want to show you the compatibility of the complete Zoeller family of water solutions, products and services to meet your water needs. Agriculture Solar hybrid power system is here to compliment the energy solution for the the pumps. 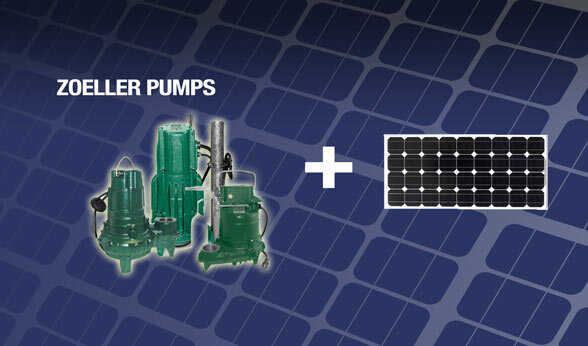 At Agriculture Solar, Zoeller Pumps and Agriculture Energies can be your simple water pump solution. Zoeller Company began in 1939 as a family-owned operation making various products, one of which was a dependable column sump pump. From its humble beginnings, Zoeller Company, one of the oldest, independently-owned U.S. pump manufacturers, has maintained the highest of quality standards, setting the benchmark for all other manufacturers of pumps. All Zoeller Pumps and Agriculture Solar power supply are time-tested and quality-driven. Our submersible pumps are 100% factory-tested underwater for dependability from the instant they're plugged in. Agriculture Energies systems have been dedicated to modern agricultural irrigation and successfully active in the top irrigation fields for over 10 years and continues to bring the tried and true principles and advantages of solar hybrid power. Think about it, and then make your move. Let Zoeller Pumps and Agriculture Solar water management provide you with decades of reliability and lasting value. We invite you to explore the possibilities of our reliable hybrid solar powered pump solutions.